These six suits look fierce enough to scare off sharks. That’s because they’re modeled after our favorite evil characters, from Magneto to Mugatu. Who says that swimsuits should always be cute? When you truly want to rule the beach (or the pool), try channeling one of these scheming villains. 1. 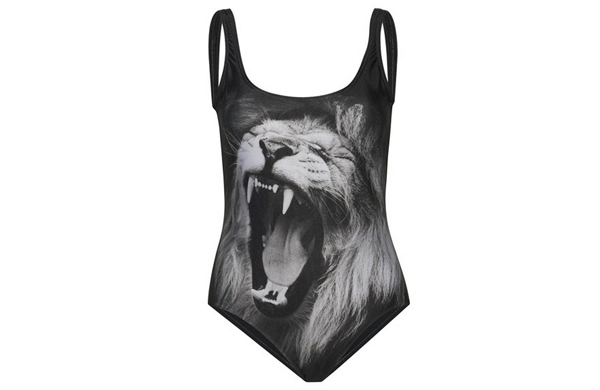 Scar from The Lion King The Impressor scoop one-piece; We Are Handsome ($207.90, on sale) This lion doesn’t appear to have any scars on its face, but its fearsome growl and dark background are befitting of Simba’s regicidal uncle. 2. Mugatu from Zoolander Shattered Swirl french top and bikini bottom; J. Crew ($52, $44) Like the man who invented the piano-key necktie, this suit is a little loud and crazy, but ultimately fashionable. Plus, the swirling pattern is reminiscent of the video he uses to brainwash Derek Zoolander. 3. Cersei Lannister from Game of Thrones Diana beaded maillot; Mara Hoffman ($308) Judging by her constant digs at Margaery Tyrell’s midriff-baring dresses, we can assume that the Queen Regent wouldn’t be caught dead in a two-piece. 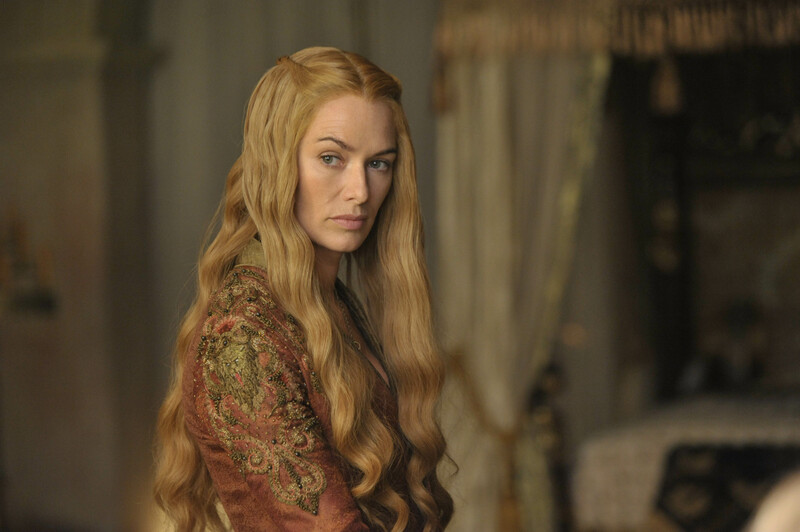 The regal silhouette of this maillot is capped by intricate beadwork, much like many of Cersei’s gowns. 4. Magneto from the X-Men Universe(s) Steel Grey Plait swimsuit; Topshop ($60) This sleek design matches Erik “Magneto” Lehnsherr’s aesthetic, and its silvery sheen is a nod to his metal-manipulating abilities. All you need now is a waterproof helmet. 5. Blair Waldorf from Gossip Girl Sundown tie bandeau bikini; Zimmermann ($230) Even on her good days, the queen bee of the Upper East Side was probably plotting sinister deeds. The plaid print on this two-piece looks like something from one of Blair’s prep-school uniforms, so it’s tasteful enough for a weekend in the Hamptons. 6. Two-Face from the Batman Universe(s) Black and Lime Folk bikini; Topshop ($60) This string bikini’s top evokes the mismatched profiles of Harvey Dent’s alter ego. 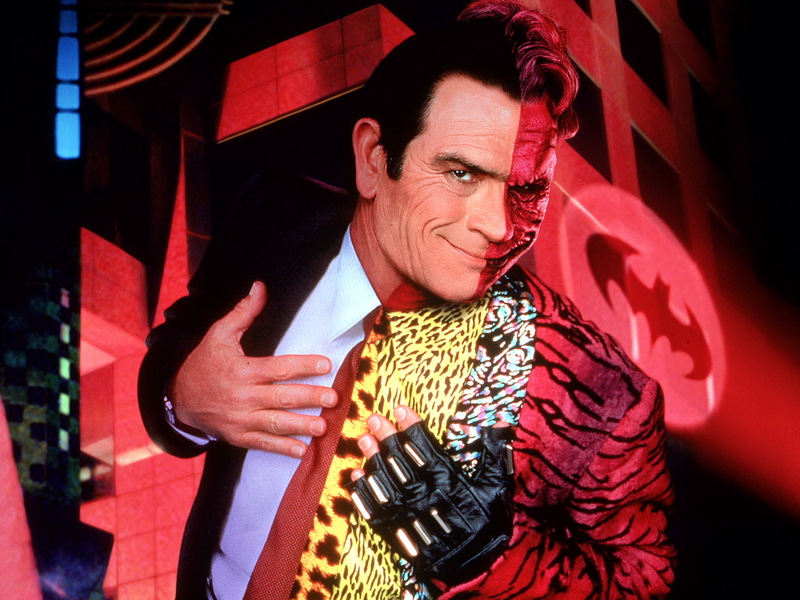 The vibrant colors, though, are more Tommy Lee Jones in Batman Forever than Aaron Eckhart in The Dark Knight. Shop swimwear on ideeli.